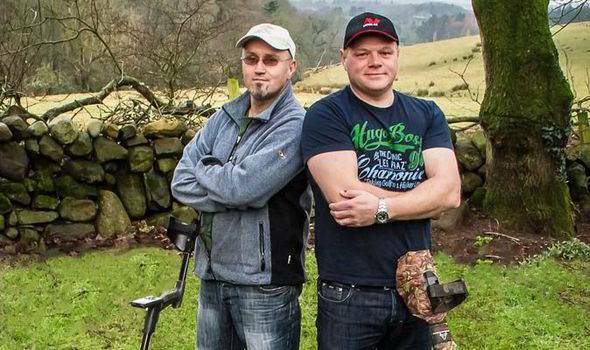 Hello and welcome to the Detectorists metal detecting for beginners guide. This will be a very detailed guide aimed at the beginner and seasoned detectorists alike. We will start with an introduction into the world of metal detecting. 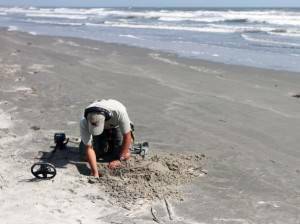 Metal detecting has been around for around years, and has rapidly become a very popular hobby and pastime. With treasure seekers and history enthusiasts everywhere, the hobby has become a great way to keep fit, make some extra money, meet friends and unearth the history beneath our feet. Many great finds have been discovered by the public with their metal detectors. I have covered this in another post so be sure to take a look at the best discoveries made with a metal detector. If you landed on this page looking for the best metal detector, be sure to check out this one below. It is my number one! 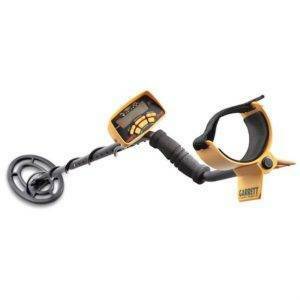 Garrett ace 400i is my favorite metal detector, I even own one and I'm talking from experience. Metal detecting has many benefits other than perhaps one day discovering a hoard of coins. It is very beneficial health wise, because of the amount of walking, digging and being out in the fresh air it can help us stay fit, lose weight, tone up and increase stamina. It is not over strenuous and you can go at your own pace, so metal detecting can be enjoyed by all the family young and old, male or female. Meeting friends is something else that comes part and parcel with the hobby, there are many clubs to join located all over the world, and many rallies to partake in. You could also join forums on the internet and I also know there are some very good pages on Facebook including our own where you can meet new friends and join in the discussions or share your stories. The people are very friendly and if you have any questions I am sure there will be someone who will be willing to help you. I have listed all of the known metal detecting clubs in the UK, and we plan on adding more from around the world at a later date. However if you are someone who likes to be alone, or just with the family then the hobby is perfect. I have known many people take their wives and children on a day out with a detector. There is something very peaceful about the hobby, and in turn can help with stress. While you are out there in the open space around the country side, or on a beach your mind is focused on the treasure hunt which in turn can help day to day worries leave your mind for a while. In my years of detecting, I have also seen some very beautiful sunsets and witnessed some incredible views. Sometimes in life we forget just how beautiful the world can be. While taking in these views it really does help us put things in perspective. Financial gain is another benefit of the hobby, now there are rules and laws to follow so be sure to read our code of conduct page and our UK laws page. However if your main goal is to make some extra money while doing something you enjoy it is very possible. Not every day will be a good day! but I did pay for my first metal detector with finds I made within the first 6 months. You never know either you could discover the next hoard of coins and become extremely rich, we can dream at least! It’s not something you should consider as a replacement for a job unless you can afford to support yourself financially. While out with your metal detector you are learning, learning about the history of our ancestors and their cultures. You will gain knowledge on coinage, tools, jewellery and other items people used years ago. It’s just part of the hobby taking home all of your finds, cleaning your finds and then researching them. It’s exciting to find out what it is you have found, where it was from, who used it and why! So if after reading all of the above you are starting to think that this is something you would perhaps enjoy then we can advance on to the next post, which will cover choosing a metal detector that is right for you, the tools you will need and why, and where you can go with your metal detector. So you have decided that metal detecting sounds like it could be something you would enjoy and now you need the answer to the question. What do I need to get started metal detecting and how much is it going to cost me? You’re going to need a few things to get you started, A Metal Detector, Headphones, Clothes, Boots, something to dig with and an optional pin pointer. Choosing a Metal detector that is right for you can be a task on its own, with so many options available and so many conflicting opinions on what is the best for a beginner. Firstly you are going to need to work out your budget, I mean if you have plenty of money and this isn’t an issue then you can opt for an all singing all dancing machine, but if your working with a budget don’t worry there are plenty of options available still. You should start by finding yourself a little time, and reading through reviews, I have a best metal detector reviews section of our website you can begin with. What qualities and features are you looking for as a beginner? Where will you be going mainly with your metal detector? What is your budget. In my opinion to start with it is better to purchase a cheaper detector, but don’t worry cheap does not mean that it isn’t effective. I’d start with a low cost detector so if you decide it is not for you, then you can resell the detector. They hold their value rather well so you should not be at a loss. Some good beginner detectors are the Garrett Ace 150, Garrett Ace 250, Garrett Euro Ace, White’s Coinmaster pro, and the Fisher F5. These aren’t your only choices just highly recommended. You can buy any of these either new from Amazon, Ebay, a specialised Metal detector shop, or second hand from Gumtree, Ebay and local Facebook groups. 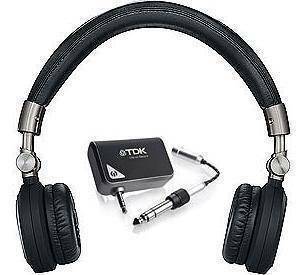 Headphones are not necessarily mandatory, however I would always advise to begin with purchasing a set as they help you hear the tones the Metal detector makes more clearly, and you don’t annoy anybody with the beeps! You can expect to purchase a pair for around £12 at the bottom end of the scale, these will have a lead though and it sometimes can get in the way, and get a little tedious at times when you are unplugging them all day. 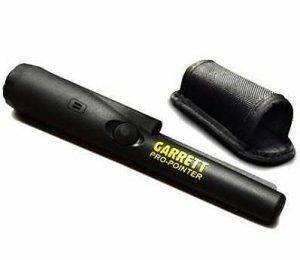 Some metal detector packages will have headphones included especially the Garrett sports packs. For a little bit more you can pick up a set of wireless headphones, around £40 – £50 should be enough. This will help make your day a little more pleasurable as you do not have the worry of getting tangled, or tripping over any cables. When choosing your digging equipment you will have many options you have to weigh up what is best for you as an individual. I would advise making sure you purchase something of a little higher quality, when I first started I got a cheap combat shovel and it did not get through the ground very well! I went home with sore feet and absolutely knackered! A pin pointer is something I would advise from the off, although again not mandatory, it will help you huge amounts. It will save you time thus increasing your chances of finds. It will also decrease the amount you have to dig so you won’t be as tired! The pin pointer is a probe shaped metal detector device which helps you locate your “target” you can scratch around in a hole with them and when you are close to the item it will beep, so you will know exactly where to dig. There again are options however in my opinion for the lower budget the White’s Bullseye II at around or the Garrett Pro Pointer below. Insurance is an option you should consider although you do not need it. Having a public liability insurance helps to give the land owners peace of mind when you are asking for permission to detect on their land. Lets say you forgot to close a gate and all of their live stock escaped? Perhaps you hit a pipe digging who will cover the repair costs? Insurance is usually required for rallies but comes inclusive with the FID or NCMD memberships. You should also consider insurance for your equipment. We will elaborate further on Metal detecting insurance in a later post. A positive mental attitude and patience are mandatory. When you begin detecting don’t head out expecting to find treasure although it is possible, and there are stories where this has happened. To start with you will be getting to know your metal detector and like with any new hobby or activity it’s about learning. You will be digging a lot of “junk” signals until you learn to determine how to “discriminate” and determine the target sounds. Do not worry though it does not take long to learn, and after a few outings you will find you are hitting good targets and less junk. Get to know the detector you have chose, read the manuals, watch some youtube videos and practice in your garden. You can set out items and run tests yourself so you can see how your detector reacts to them. OK you got the above! Still interested? You are now going to need somewhere to go with your metal detector the next section in the beginners series is named Where can I go with my metal detector? So you are on to part three of our beginners guide. I’ll assume you have purchased your metal detector and equipment and you are now ready to get out there into the big wide world and find treasure. In this post we will answer the question you are probably asking by now where can I go Metal Detecting legally without getting in any kind of trouble. We will start with the place you can go pretty much instantly. The Crown Estate Metal Detecting Permit. This permit is for foreshore only and does not include a permit for the seabed, riverbed or any other Crown Estate owned land. While on their website you will need to fill in a couple of details, your first and last name and your email address. Tick the box confirming you have read the terms and conditions and hey presto you have just got your first Metal Detecting permission! Beach detecting can be a great place to go metal detecting, think of all the human activity over the years. People running around, laying down, playing sports on the beach. Now think of all the things that have dropped out of peoples pockets, or even off their fingers. If you are lucky enough to live near a beach then it is a great place to start. If it is in “holiday maker” season then I would advise getting there at sunrise so you have plenty enough time before people start to arrive. Most of us have them, most of our friends have them and most of our families do as well! Maybe a friend of a friend, or a friend of a family member? This is also a good starting point to get kids metal detecting. Gardens can be full of interesting relics, artefacts, coins, toys and other historic objects. With the garden being a place of activity, playing, socialising and relaxing over the years things could have been dropped. Obviously if you are in a brand new house then the garden may not be to interesting, never the less that is not to say you won’t find anything. Your house may have been built on land that was used in times past. I would suggest you look at your friends, and families houses and see who lives in an older house, with a larger garden ask them politely (with maybe a bribe) for permission. The Garden is also a great place as a beginner detectorist to practice with your metal detector, and get used to the tones and settings. Lay out some different items, you could even bury some. Go over them with your detector and pay attention to it’s reaction. I have included these as it is possible to get permission however some local authorities will not permit you to metal detect. It is primarily down to your local council. So I would suggest you Google your local councils name, and grab the contact details. You can then either write an email, a letter or ring them. A little tip I have learnt is to always offer a service in return when asking them for permission to detect these places, for example you might offer to clean up litter along the way. Some local authorities are very strict with the “No Metal Detecting” Rule while others are more relaxed allowing you to detect as long as you follow the code of conduct and the treasury act. Please do not go against what they say, it is illegal and I would hate for any of you to have your equipment, and finds taken from you and perhaps even end up with a criminal record. Again Parks and Commons are a great place to make finds. In the past these places have been used for many different public events, like Fairs, Fates, Concerts, Circuses, one common I know of was used as a shooting range around the time of the war and the ground is full of old bullets! Due to the activity is not unlikely you will make some good finds in these places. A great tip if you can get on these places is to try and think about where people would have been. So maybe underneath a big tree where they sat in the shade, around benches, near the actual climbing frame and swings, along footpaths. 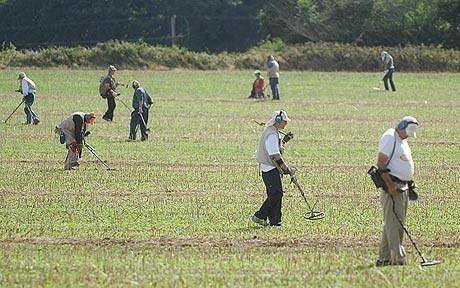 There is no wonder why the farmers field is probably the most popular place to go metal detecting in the UK. Most of the great finds, and hoards have been found here. When a field is ploughed the ground is rotivated, bringing things from underneath closer to the surface, the only negative being that sometimes the machine will damage the artifacts beneath. Ploughed fields are usually very easy to dig because the ground is already broken. The hardest part of a Farmers field is getting the initial permission, with so many night hawkers these days giving the detectorists a bad name sometimes the farmer can be quite hostile towards the hobby. There are many ways to approach this though, I personally feel I have had more success in obtaining these permissions by knocking on the doors and speaking face to face, however if you are not a confident person there are other ways. You could write a letter, if you have no idea where to begin with a letter then take a look at our metal detecting permission letter. Other ways include, making telephone calls, asking friends and family if they are connected with a local farmer, posting on the Facebook farmer groups or internet farmers forums. It is a good idea if you can get a permission to research your land first, we explain this further in the metal detecting researching land post. This way you can see old paths that may not exist any more, perhaps what it was before, and boundaries. It is a good idea to check the boundaries with a farmer before you start to detect. Some people also like to sign an agreement with the land owner to begin with, in case you make any finds. This will just be an agreement of how any money or finds are split. These places can be very misleading due to the word “public” and before we go into this you need to know that this does not mean you have any rights to metal detecting them. All the word public means is that the owner of the land has given right of way. If you have found a public footpath you think could be a good place to metal detect then you will need to find the land owner to ask for permission. Footpaths are a great place to metal detect though, as for many years people have been walking up and down them and perhaps taking their dogs for walks along them. Was the footpath always there, has it moved slightly? When detecting a footpath I always cover a couple of meters to the side as well. Public Woodland areas, again are not public areas giving you any rights other than to walk through them, you should seek the permission of the owners. I hope I have given you a few ideas now, and some information on how to get permission to detect land. Always remember to act responsibly and get permission. Don’t break the laws as you could end up in some hot water, with your equipment and finds confiscated, and at worst end up in a prison cell. Ask your friends and family to help you, It’s always a head start if you have someone vouching for you and a connection. Sit and write a list of all the places you have seen and thought I would like to metal detect on there and begin researching to find out who owns the land. Then contact all these places. The more people you ask the more chance you have of getting the permission to metal detect. Before you go out and metal detect it is a good idea to follow on through our beginners series, the next part covers the Metal Detecting Code of Conduct. The Metal Detecting Code of Conduct is a voluntary practice that we should try at all times to follow. This ensures our hobby is a pleasurable experience and we don’t get in to any bother. PROTECTED SITES: You should always follow the laws that concern any protected sites, these are defined as Scheduled Monuments and Sites of Special Scientific Interest also known as SSSI. You should check with land owners or tenants, Finds Liaison Officer, Historical Environment Records or you can visit www.magic.gov.ukWhen Metal detecting around these sites you should ensure you take extra care as it can be confusing as to where boundaries lie on the ground. GROUND CARE: It is good practice to wherever possible detect on land that has already been disturbed for example ploughed fields. If you are metal detecting on undisturbed pasture you should ensure that no damage is done to the archaeological value of the land. Ensure all holes are properly filled and use the correct tools. Fill holes as neatly as possible. MAKE RECORDS: Making a record of find spots as accurately as possible for the finds you make is good practice, this should be to at least one hundred meters squared, using an ordnance survey map or GPS while in the field. Package your finds individually and record the NGR (Nation Grid Reference). You should not pass on this information to any other parties without being in agreement with the landowner or tenant. RESPECT THE COUNTRY CODE: Leave gates and property as you find them, do your best to ensure you do not damage crops, scare any animals, disturb any ground nesting birds and always take your litter with you. You could also remove any litter you may come across along the way. REPORTING FINDS: Report any archaeological or historical finds you have made to the landowner or tenant, and with the agreement of the landowner or tenant report to the Portable Antiquities Scheme so the information can be passed to the Local Historic Environment Record. TREASURE CODE: You should always abide by the provisions of the treasure act and treasure act code of practice. If you are unsure your local finds liaison officer will be able to assist you. SEEK EXPERT HELP: You should always try to seek expert help upon discovering something large beneath the ground, this could be unusual material or a concentration of finds and or wreck remains. Discuss this with the landowner or tenant. 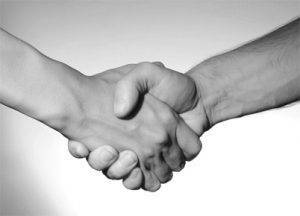 Your local finds liaison officer will be able to advise you of the right person to contact. If you report the finds this will not take away your rights of discovery, however it will result in far more archaeological evidence being discovered. If you suspect you have found human remains contact the police immediately. Contact the Police or the HM coastguard if you think you have found an explosive device. If this is the case you must at once leave the area and ensure your electronic equipment is switched off. Do not under any circumstances try to remove the device or tamper with it. These rules are not so much laws however they are what you should try at all times to follow, they are a guideline. They are set in place for numerous reasons, so that we can learn more about our ancestors and history, that the public get to enjoy any historical finds, so we do not harm ourselves or others and so we can continue to keep the UK beautiful. It is good practice to adhere so the hobby of metal detecting can continue to be successful and so we do not get a bad name. While researching land for metal detecting you will see that it can be very beneficial and can pay off in more ways than one. As a beginner the thought of this could sound very daunting however there are some very simple methods which I will elaborate of further in a moment. As you become more of a seasoned detectorist all of this will become second nature. You will be finding out things about the land that you never thought possible. So without further adieu let’s look at some of the ways you can find out more about your land permission. Google Earth and Google Maps are two of the most valuable tools when researching the land you want to metal detect. No more big maps and a magnifying glass! Test it out as you are reading this open up Google Maps locate the search box and type in your home address. Then click earth in the bottom left hand corner, this will change the maps to a satellite and terrain view. Zoom in using the + icon in the bottom right corner of your screen. Notice how you start to see the land differently, sometimes we can’t see things like old paths, where buildings used to be, ancient water courses etc while we are on the ground. Using Google maps will help you spot these things. You can combine the use of Google Maps with the next section. There are many of these websites available which feature scanned copies of old maps which you can browse. Now this is a very handy practice. Open up this old maps website and in a separate browser open up this grid reference finder website. In the Grid reference website locate the land you wish to research you can type in the name of the city, town or postcode. Again you can change to satellite view with this website in the top right hand corner of the map. OK great so now you have located the land hit the right click button. You will be presented with a grid reference number. Copy & Paste this number in to the “Old Maps” website in the OS Grid Reference box click search. Now from here you are presented with an old map. On the left you will notice numerous old maps. Click any of these you wish to see! Using this method will help you locate old paths, buildings, places of interest that may not no longer exist. It will also sometimes help you to see what the land was used for previously. You will be amazed at what you can find out from the older locals. It’s also a great excuse to nip down the local pub for a pint. Some people also join local history groups and will go the meetings, there you can ask questions about the land and monuments you never know you might be lucky enough to also gain a few permissions if you show you are in it for the history and not just the money. 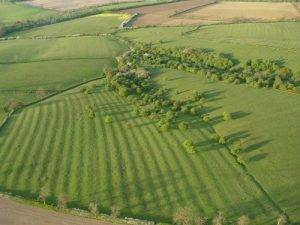 The shape of the land can be an indication of ancient farming methods, with land undulating which is caused by years and years of linear plowing it can cause a ridge and furrow effect. Even if the ground is now pasture. Try to look at this effect from Google maps satellite view. If you visit this website the Archaeology Data Service. It has a great search tool, where you can type in keywords like the name of roads and streets close by to the land, the farm name, the village or town name etc. The Data Service will return results of historical finds, research, and other very useful information while you are researching the land you want to metal detect on. A Tithe Map was a map that was prepared following the Tithe Commutation act in 1836. It allowed tithes to be paid in cash rather than goods. The map documented the names of anyone living there and the owners. It also documented what the land was used for. Tithe maps are a good place to do research of land. Not only is the national archives a great place for Tithe maps it’s also an amazing place to research. The way the website is designed makes it very easy to use and navigate. This page of the National Archives is all about searching for a place. The research guides that they list on the website will help you uncover the history, or a place, land, building, institution, school, hospital and much more. Every guide gives you information on where you will be able to find the relevant records to begin your search, and how you can gain access to them. Many of the records there are searchable by location, but bare in mind over time place names have changed and boundaries also. You may need to try variants of the spelling or different geographical units. There are other ways of researching, but I feel for now this is enough to get you started and keep you busy for a long while. It is highly addictive and sometimes I personally enjoy the research as much as the actual hunt! As you practice these methods you will no doubt discover your own techniques and methods. Speak to other enthusiasts, you will be surprised also if you are stuck that people will be willing to help you research the land. Join some forums, and Facebook groups and ask politely for help if you are stuck. You can also contact us via the contact page and if we can find the time we will look into the land for you and see if we can help. So you finally get on some land and you discover something that you think may well be classed as treasure? How do you know what you need to report? What is classed as treasure trove? In this section of my beginners guide to metal detecting, I will explain the treasure act as defined in 1996. The Treasure Act is a legislation that was created to primarily define what would need to be declared, and to deal with finds mainly made by the detectorist’s in England and Wales. It is a law in place that obliges the metal detectorist to report their finds to their local coroner (your local finds liaison officer will point you in the right direction) within a 2-week time frame. The inquiry made by the coroner subsequently determines whether what you found is classed as treasure or not. If the coroner decides that it is classed as treasure then you must offer it for sale to a museum, for a price that will be set by an independent team of antique experts. You can only reclaim the item if no museum wants to purchase the item. What is classed as treasure? Any metallic object, other than a coin, provided that 10 per cent by weight is of a precious metal content (gold or silver) and that the Item is of a minimum of 300 years old at the time of the find. If the item is prehistoric it will be then classed as treasure if any part of it is gold or silver. *Prehistoric is classed as from the Iron Age or any period before. A group of coins (two or more) from the same find if they are at least 300 years in age when found(If the coins however contain less than 10% precious metals then there must be at least ten) The following groups will usually be classed as coming from the same find. Purse spills, and smaller groups of coins that may have been lost, misplaced or dropped. Ritual or votive deposits. Any item that would have previously been treasure trove, but does not fall within the categories listed above. Items that are less than 300 years old, that are made substantially of precious metals, that have purposely been hidden with the intent of recovery and whose rightful owners or heirs are unknown will fall into this category. Under the English Laws, landowners have the sole title and ownership to any archaeological artifacts found on their land or property. It is good practice to make an agreement, preferably a written contract with the landowners or tenants before you metal detect on their land. This agrees that you will share any monetary proceeds from sales of the treasure. As I have previously mentioned people who detect illegally, without permission or on SSSI sites can not benefit from the Treasure Act. It has been known that people who metal detect illegally have had their finds and equipment confiscated and can face large fines and a prison sentence. The Portable Antiquities scheme is not a legal requirement however it actively encourages use and highly recommends recording your finds. The PAS is a voluntary programme that is run by the UK Government to record the numbers of small finds, or finds of historical and archaeological interest made by members of the general public. It began in 1997 and covers the most of England and Wales. They primarily focus on metal detectorists who make discoveries regularly through their hobby that would otherwise go unrecorded. Other members of the public can report any objects they may have found and that also includes non-metallic objects. The PAS exists to record non-prehistoric and non-metal finds. The scheme funds the posts of Finds Liaison Officers at county councils and local museums to whom finders can then report the objects they found to. The Finds Liaison Officer is qualified enough to analyse, research and examine the find and then give the finder more information on it. They also record the find, what it was used for, the date, material and location. They then place the information into a database which is then analysed. They use the information on the find spot (the place where it is found) to organise more research in the area. Because of the PAS and Finds Liaison Officers, many previously unknown archaeological and historical sites have been identified through the scheme and it has made many great contributions to the level of knowledge of history. Finds Liaison Officers maintain a good relationship with local metal detecting societies and have contributed to building relationships and bonds between metal detecting enthusiasts and archaeologists who usually don’t see eye to eye. In a nutshell anything else that you find other than what I have explained above you and the landowner are free to keep or dispose of. I hope that you have found this treasure act guide useful and we will now move on to cleaning metal detecting finds and coins in part seven of the beginners guide to metal detecting. In this post I will be discussing some methods for cleaning Metal detecting finds. What I want to stress first is everybody has their own methods, and finds their own way of doing it. These are only guides to help you start off, and I don’t want to take responsibility for any damage caused. It is always advisable to have your finds professionally cleaned especially finds of importance and coins. Cleaning a coin can seriously devalue it! In your time Metal Detecting you will tend to discover buttons than any other item. So let’s discuss a method of cleaning, and please once again remember this is just what we have researched and a guide line. Cleaning is done at your own risk! That being said, we first need to take a closer look at the button and try and figure out what it is made of, if there is any gilding and how corroded it is. Always remember it is better to under do any cleaning than over do. Next we need to work out what cleaning solution would be best. We will need a soft bristle tooth brush at hand. Very weak acid solution (lemon juice) around 5% will be safe. Again Dip the toothbrush into the solution and very very very gently work your way around the button. Watch carefully to ensure you are not taking of the gilding, plating or damaging the button. Use a soap and water solution. Dip the toothbrush and carefully clean. As with coins I do not like to clean or polish silver because of the natural patina, however if it is in a right old state and you are sure it is silver you can use a higher concentration of ammonia say around 25% drop the button into a container with the solution in. Leave fully submerged for around 10 minutes at this point you can gently swill the container which will help break the dirt away. Remove the silver button from the container and rinse thoroughly under running water. Very gently use a cotton bud to remove excess loosened dirt and dry the button. Rinse thoroughly again. Musket balls are made from Lead, like much ammunition of that period. Often or not the balls are quite soft. Simply rinse under a tap this should suffice (remember lead is toxic try to avoid polishing or rubbing at the balls, as this creates white lead powder which is the dangerous stuff) I was going to go back and delete this last sentence because of how it read, but I thought I would leave it in as a bit of a giggle. Oxidation is common in these types of coins and rarely they will survive as well as coins made from precious metals. A lot of what you dig will tend to be worn and corroded. However you can bring back a little detail. (leave alone if you think the coin has a nice patina already) However if you feel they could benefit from a clean opt for an ammonia solution of about 25%, submerge them in the container containing the solution and feel free to give it a little stir to boost the process. The ammonia should be dissolving the crud. The solution should start to change colour after a few minutes if it is working properly. After about 15 minutes remove the coins and rinse under cold water washing away the leftover solution and dirt. Dry the coins with a rag or cloth. You can choose to give them a light buff to further bring out the detail in the coin, but be careful not to rub to hard. 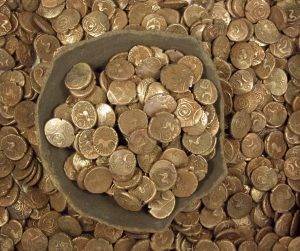 Salt and vinegar is another effective way of cleaning your Bronze and Copper coins believe it or not. (who’s thinking of fish and chips now?) Place your coins in a bowl, cover with salt, pour white vinegar over the pennies, gently rub the mix into both sides of the coins, remove the coins after a few minutes and rinse and dry. The majority of your silver coins will be found in a fairly good condition as silver does not corrode as easily as the Bronze and Copper coins. So before you go ahead and clean you should know that coin collectors actually prefer silver coins to have patina and toning to them opposed to polished. If you want to go ahead still and clean at this point, then the same process applies as Bronze and Copper, 25% ammonia, submerge, stir, leave for 10 to 15 minutes, remove, rinse, gently wipe dry. Jewellery cleaner from a jewellers can be used. Submerge in the provided container, leave for the given amount of time, remove the coin(s) and gently wipe dry. Gold does not react with minerals found in the soil, therefore when you find them they should be in pretty much the same condition as the day they were lost. Apart from a soil build up, the coins do will not have corroded or oxidised. So cleaning should only occur to remove the dirt. A very cautious approach should be taken, and no chemicals will be needed. You will need a cotton bud and water. Gold is a very soft material, and can be easily marked. Do not rub at the coin. Simple wet the cotton bud and dab the coin, while dabbing you should create a rolling motion, do not be tempted to start to wipe the coin. This process will take time but being patient and slowly and consistently working this technique will remove the dirt build up eventually. Jewellery solutions can also be used, you can buy these from your local jewellers or online. Submerge in the provided container leave for the amount of time stated, remove, rinse and dab gently dry. Start with a soft bristled toothbrush and water try this method first, if dirt still remains try a jewellery cleaner or ammonia solution. If you have time professionals would often recommend bathing your items for days at a time in distilled water or olive oil and repeating the process for as many times as needed. This is the safest way of cleaning, no rubbing involved and no damaging the coins. Some other techniques include baking soda and tinfoil. This technique can be seen in the following video. To summarise I would strongly recommend if you care about your find, and do not want to risk causing any damage or devaluing, you talk to a professional before using any of these methods. Somebody at the local museum will be able to help you with what to do. Hello and welcome to my final post in the beginners guide to Metal Detecting. I hope you have found it useful so far. Please remember the techniques, and methods I have talked about are of my own opinion, from other resources, and have been recommended to me. You will find your own ways, and learn your own methods eventually. This series of beginners guides, are just a start to point you in the right direction. In this post I will include template permission letters, and template contracts for you and a landowner or occupier. Before I begin, please remember what I have mentioned before it is more effective to speak to the landowners face to face. With that being said, I know some of you are probably a little shy, or lack confidence. So here is a template, this should be changed to suit your personal details and is just a guide to give you some ideas. A few things worth mentioning are if you are insured this will increase your chances, if you are polite and patient, and if you offer something in return, for example a helping hand when they are busy. You will need to change the letter to make it more personal to you, It is only a guide template to give you ideas. Please remember if you are copying and pasting to read through and make sure you have removed template guidelines and it reads correctly. I personally feel a hand written letter is more personal, and shows you have taken time. Remember most of the farmers or landowners are going to be from a time that letters were hand written. The above contract was sourced from the Metal Detecting Forum. That concludes the beginners series so far. We will be updating and adding to this as we go along with this website. Our next series will be Metal Detecting Terminology and common terms used, along with swinging techniques, different earth and ground compositions and what works best with what terrain. Be sure to bookmark us and come back regularly to check for updates. If you would like to know more about anything we have discussed, or would like help please use the contact page we would love to hear from you.